Peter Ledbetter is a graduate of Trinity College Dublin and University College Dublin. He is also an alumnus of Harvard Business School. Having qualified as a Chartered Accountant with Price Waterhouse, Peter spent his immediate post qualification years working in their Management Consulting Services Unit in Dublin and London. 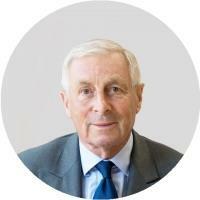 In 1975, at its inception, Peter joined GPA group plc working closely with its founder, and also founder of Ryanair,, Tony Ryan as Vice President Finance and Executive Director until 1990. At GPA he was closely involved in the formation of the Company’s evolving strategy and the execution of its policies. From 1991 to 2001 Peter was an Executive Director of Irish Life and Permanent plc as Head of Corporate Strategy. More recently he served as a non-Executive Director of a number of a public and private companies including the Irish Aviation Authority from 2008 – 2012.